Most would argue that the risks of owning rental properties are fairly obvious, yet you’d be surprised how many people ask me what they actually are. 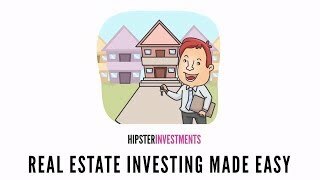 If you are brand new to real estate investing, it would make total sense that you might not completely understand the specific risks in a way that allow for a bigger picture view. This is simply because you don’t know what factors to look at. Or even if you aren’t brand new, sometimes it’s just helpful to see a very general overview of things as a way to help drill it in and help you better understand it. Before even talking about the risks, one thing you want to be very clear about when it comes to rental properties are the numbers. 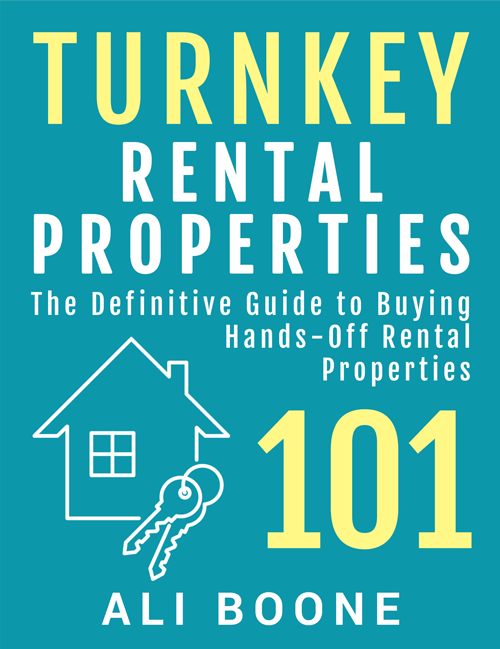 I didn’t know a thing about how to run numbers on a prospective rental property when I first got interested in real estate, and I’ve since learned that most people really don’t have a clue about them. The truth is: Most properties don’t make good rental property investments! I usually hear it’s in about the 80% range that properties actually don’t pan out financially as rental properties. Why is this? Because the numbers don’t work. What do I mean “the numbers don’t work”? It means that your actual expenses (which are usually more than what people realize) exceed the income on the property, and therefore, you lose money. Losing money is not the point of investing. Making money is. Why am I mentioning the numbers? Because all risk involved with rental properties is directly related to the numbers. I can tell you the risks of rental properties, and you will understand them well enough, but if you really understand more about the numbers and what goes into actually receiving returns from them, the risks will just make all that much more sense. If you want, you can alternatively phrase the question, “What are the risks associated with owning a rental property?” as “What are all of the ways you can lose money with a rental property?” Pick your poison. Again, a seemingly pointless distinction to the more advanced investors, but at the beginning levels of learning all of this stuff, certain distinctions aren’t so pointless to make. This one is a bit of a trickster because it’s not as obvious as some of the rest of the risk factors. However, despite being a trickster, it can be one of the most costly issues with a rental property! Other issues can be costly as well, but vacancies can happen often and quickly if you aren’t careful. The expenses associated with vacancies are: lost rental income during each month of vacancy (especially significant if you are having to pay a mortgage payment each month at the same time), turnover-induced repairs, and if you are using an agent to secure tenants, you will have to a pretty decent chunk to that agent once they place tenants (usually the equivalent of one month’s rent). For some reason when I first started into buying rental properties, I seriously underestimated the power of vacancy expenses. I’m not sure if I just thought vacancies wouldn’t happen or if I didn’t realize how long vacancies could last, but I definitely didn’t put enough weight into them. Take them seriously — because they are serious. This category could be just as easily called “when you have to fix something.” There are a few reasons you may have to fix something on your rental property. There could have been theft or tenant-induced damage. There could be just normal repairs, either from normal everyday wear or small things that tend to break. Or there could be more CapEx-level maintenance. This could include things like roofs and water heaters, or it can be more serious issues, like structural issues, internal wiring, or something that you may or may not have known about when you bought the property. Fixing things can range all over the board for cost. Minor repairs could be less than $100, major repairs could hit tens of thousands of dollars, and there is every cost possibility in between. The real win happens when bigger things are covered by insurance. I’ve gotten a couple nice new roofs thanks to insurance! However, you can’t ever count on the insurance wins, so always assume the expense will be out of your pocket and plan accordingly. This one isn’t quite as obvious as vacancies and repairs. What you are looking at here is how much the property is bringing in in rental income. This is imperative because, well, how much it brings in is really the crux of the profits because you need enough money coming in to cover the amount of money going out — your expenses. So when does this become a risk? The risk comes in cases where economic conditions of the market change such that you can no longer get as high of rental income as you once could. If general rents decrease, and therefore you have to decrease how much rent you ask for on your property in order to stay competitive, suddenly you could have an income level that doesn’t necessarily support the expense level of the property. Make sense? Or maybe the economic conditions don’t change at all, and for some reason, you were just able to charge a certain tenant a really high rent, but then when that tenant leaves, you can’t find another tenant who will pay that much. The key here is always having rents that surpass what you are paying in expenses. Rents being forced down is a risk for rental property owners. Make sure you subscribe to get all the latest deals! Click here to join Hipster’s mailing list.